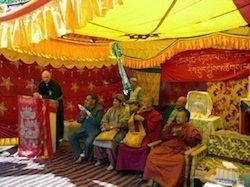 It was in 2006 in Manali, that Mr. Jean-Paul Dentan, the financial sponsor and board member of the Rabten Foundation, and Venerable Yongzin Rinpoche, the Director of Greater Himlaya Buddhist Welfare Society (GHBW) met for the first time thanks to Venerable Gonsar Rinpoche. GHBW is itself an association founded in 2005 by the late Venerable Dagom Rinpoche and currently led by Yongzin Rinpoche. One of its major objectives is the establishment of a school for disadvantaged children. 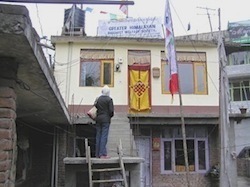 In 2006, the association was located in an old premises at the entrance to Manali. There were already half a dozen young children receiving some classes given by a small team of volunteers. The first emergency was therefore to find a suitable site to build a real school. 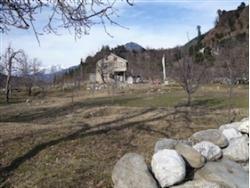 A land with a building was found and purchased in 2008 at Kalath in the vicinity of Manali. The school was officially opened on April 18, 2008. Once the school was established on-site, existing infrastructure needed to be made functional. A kitchen, a dormitory and sanitary facilities were rapidly constructed and a new door adorned the old building - a beautiful carved wooden door bearing the eight auspicious symbols drawn by Ven. 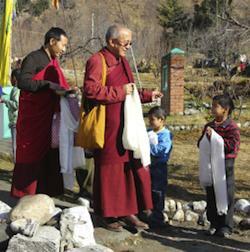 Gonsar Rinpoche. This phase of work was completed in 2010, while the school was home to forty children. 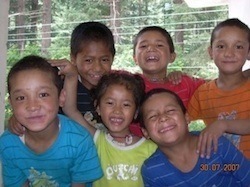 Following this work, several new children were quickly integrated. The available classrooms in the former home were proving insufficient, having a new school building soon became a necessity. Its construction began in 2012. Initially planned on three floors, the building includes classrooms, a teachers room and a large multipurpose room for both dining, prayer, examination and other works. At the rear of the building is the new kitchen. The third floor will have additional classrooms and will include a science lab and a library. The first two floors of the building were inaugurated on 13th November, 2012. The inauguration of the school in the presence of Mr. Jean-Paul Dentan, on 18th April, 2008.